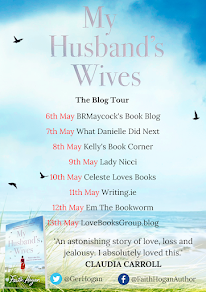 I would like to thank the publishers for an arc copy of this book via netgalley in return for an honest review as part of the blog tour. Ellie Rigby is a matchmaker. She's great at getting couples together, but getting them to stay together is proving to be difficult. Recently, Ellie has attended more divorce parties than weddings, so she decides that in order to keep the couples together, she needs to find out why people divorce. With a dream of helping her clients find their happily ever afters, Ellie embarks on a journey, meeting many professionals, including divorce lawyers and couples therapists, in a bid to find out the causes of divorce, so that her clients can find the one and live a happy life. But while Ellie is trying to find happy endings for other couples, her own relationship is struggling. After three failed attempts at IVF, Ellie and her husband, Nick, have come to the realisation that they are not going to be parents, which has made them grow further and further apart. Now Nick has been offered a new job, which could be the making of the couple, the only problem is they need to up sticks and move from their London home and live across the pond in New York City. Ellie soon needs to decide on what matters to her most, her job or her marriage. Can Ellie find out how to keep her own marriage together or is she too busy trying to keep her clients together to focus on her own relationship? This is the first book that I have read by Haley Hill and I must day that I absolutely adored it. 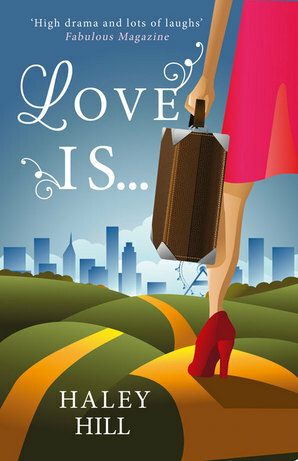 Love Is... is such a funny, light hearted read that had me crying with laughter throughout. The hilarious scenes and witty comments are what made this book that diamond that it is and kept me thoroughly entertained from start to finish. The pages seemed to turn themselves and I had the book finished in next to no time. One more chapter turned into two and before I knew it the book was finished. Everytime I picked this book it was impossible to put it down again. Ellie is just the most delightful character and I fell in love with her from the very first page. Having been through a lot in her personal life, I admire how strong and independent she is, and I loved her fun, bubbly personality. Ellie's best friend, Matthew, is so charming and funny. I found his characters sense of humour to be amusing and hilarious. I want him as my own best friend! The chemistry between Ellie and Matthew seemed to just flow off the page and I love how brilliantly their friendship is penned. I'm still not sure what exactly I think of the character of Nick. While his character did nothing to make me dislike him, I found him to be a bit cold at times and it wasn't until I got to the last twenty percent of the book that I started warming to his character. I think that this is a fantastic story and I just love the idea of it. It was a huge pleasure to read this book, as it genuinely made me laugh out loud and left me with a huge smile on my face. The greatest gift an author can give a reader is laughter and Haley Hill has given that by the bucket load. Love Is... is effortlessly funny. I cried so many tears of laughter during the course of reading this book. Unputdownable from start to finish, Love Is... is a great summer read, but will also brighten up those dark winter nights by the fire, that are just around the corner. There is nothing left for me to say about this book except that I loved it and I can't recommend it enough.